The team are currently working hard in the StrathSEDS lab to get everything ready for the Experiment Acceptance Review (EAR) and most importantly the launch onboard BEXUS17. The team have already started to assemble the mechanical structure, as well as the electronic systems that had been working successfully along with the ground support software. Once all systems are completely functional then mechanical and electrical components will start to come together. We hope to start this assembly in the coming days. 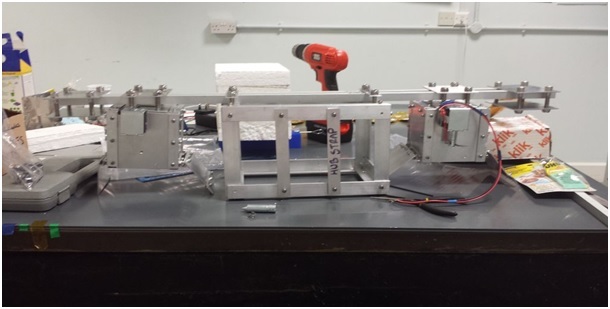 The Mechanical Workshop at the University of Strathclyde has completed all mechanical components which have allowed the mechanical structure to be preliminary assembled. The electrical subsystems have been successfully working with the ground support software. 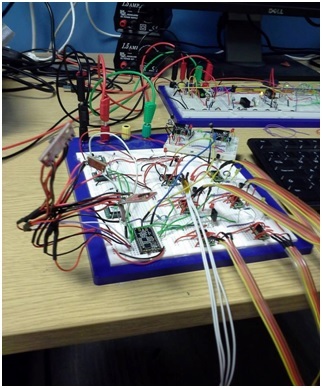 The team have decided that the pre-deployed satellite shall have PCBs and that the satellite that will be deployed from the cubesat shall have flexible circuits. This will mean that the deployed satellite will be more flexible and will disaggregate the electrical components across the entire satellite. 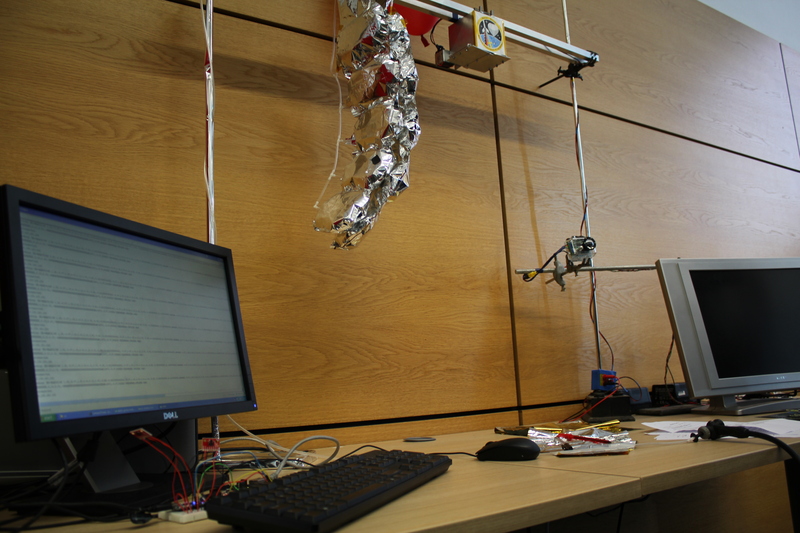 We have also been working on the soft robotics. 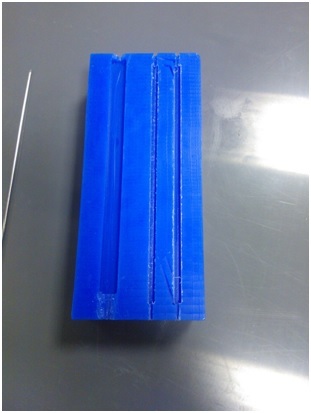 We have developed a new tool which is 4mmx4mm that has successfully worked with the micropumps and we have developed a way to keep one side rigid… a thin piece of nylon string! For the remaining weeks we will continually assemble the experiment and carry out the environmental tests to ensure that everything will be successful for launch in October. The team did manage to escape the lab and carried out some outreach of the experiment and on behalf of the ESA Education office. The team interacted with school children and got them to create their very own “inflatable space shape”. Many “interesting” shapes were created and the feedback from the public was positive and encouraging. 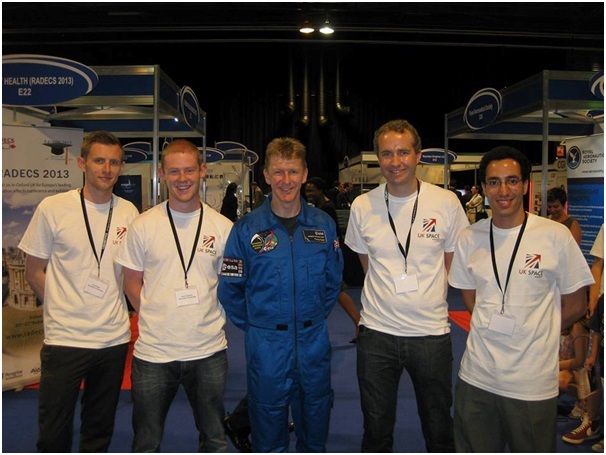 The team also had the opportunity of interacting with UK astronaut Tim Peake, who wished us luck for our upcoming launch and signed our mascot “inflato bug”. The team will work hard over the next month to get everything ready. We are excited and looking forward to our launch, we hope you are too! Wish us luck! The iSEDE team is currently spending most of its time in the StrathSEDS lab to prepare the experiment for next week’s Interim Progress Review (IPR). Due to construction in the Weir building, we decided to move into the StrathSEDS lab where already the REXUS13 experiment StrathSat-R was built and tested. At the IPR an expert from ESA and SSC will come to us to have a look at our experiment. 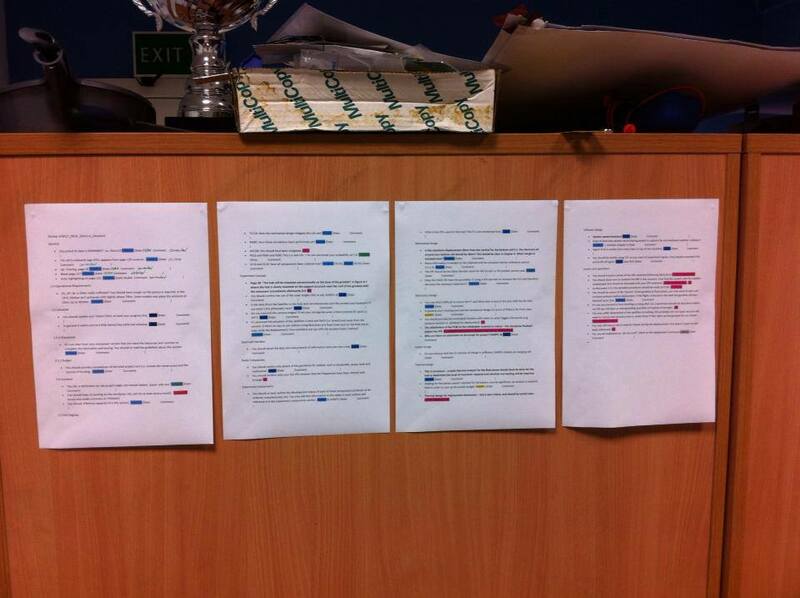 A long lists of planned actions is keeping the iSEDE team busy right now. For the last few weeks, the team finalised the mechanical and electronic design and started fabrication. Currently, the Mechanical Workshop at the University of Strathclyde is manufacturing the cube structures and the hub. Furthermore, all the electronic components are purchased and the breadboard design of all subsystems is finished. 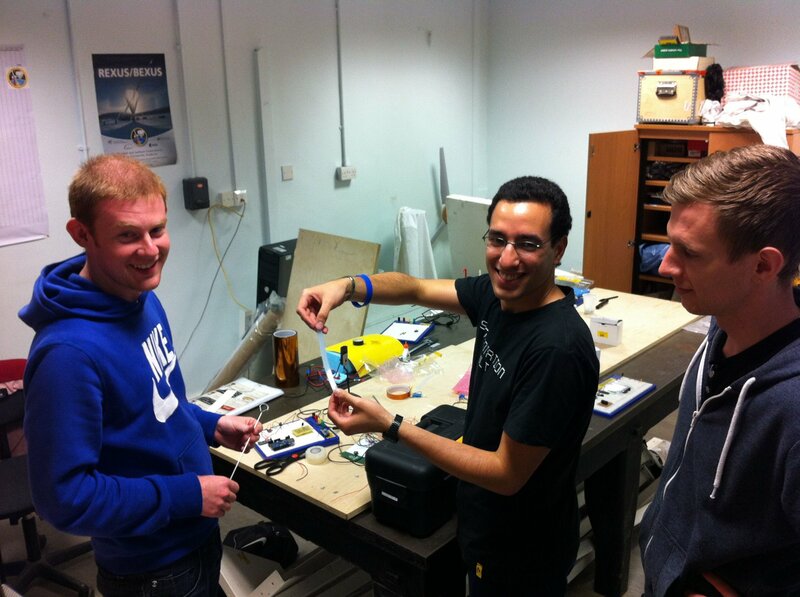 On Monday we’ll head to Strathclyde’s Fablab to manufacture proper PCBs. A first bench test model of the entire electronics distributed over the surface of an inflatable is planned for Monday. 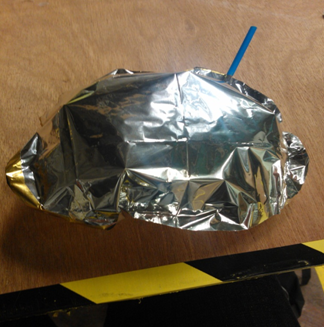 A new design of the inflatable cells with Kapton has been validated in the vacuum chamber and will be used from now on. Exciting and busy times ahead. 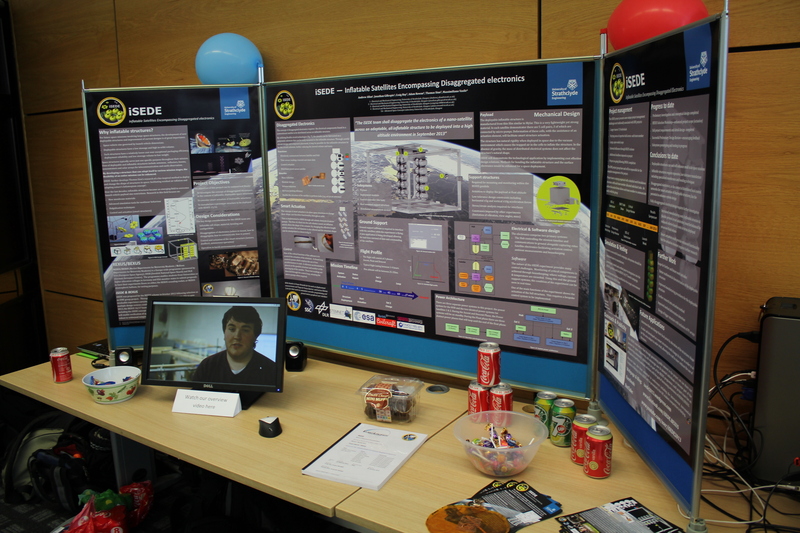 Approaching our BEXUS critical design review, the iSEDE project was presented at Strathclyde University’s Electrical Engineering tradeshow event. The following video gives a full overview of the project. At the tradeshow we had a stand with posters and inflatable demonstrators – we were able to show the deployment that would occur at float altitude and the stiffness of the fully inflated structure. It was exciting and encouraging to hear the positive feedback and to answer the many questions that people had about the project. Next week, is the first significant project exposition outside BEXUS. 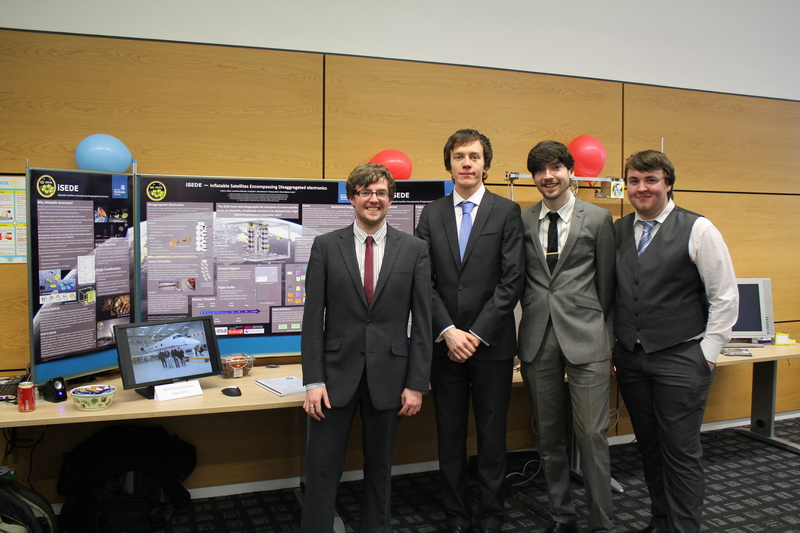 The tradeshow is an event where many university projects are both presented and assessed. The iSEDE team have developed posters and easy to follow info on the project and will present to academics and industry professionals. Our second exciting news is progress in our actuation method. Currently being researched is a unique implementation of soft robotics – a new application for the technology in terms of environmental conditions and applied loads. Watch this space to see how the testing in coming days goes!